It’s that time again! 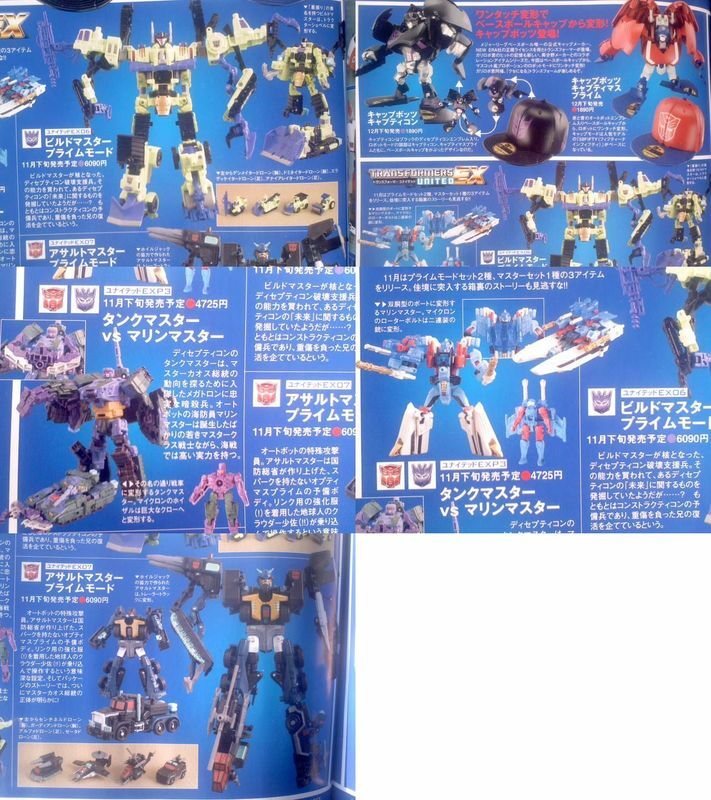 New magazine scans that show off upcoming TakaraTomy products are always excited, and while there isn’t much revealed in these pictures that we’ve not already seen, there is a surprise or two. Included in the scans you can see that Japan is getting a remolded(?) 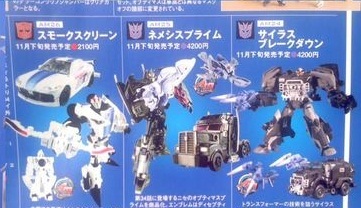 KnockOut as Smokescreen, along with the already previewed releases of Nemesis Prime and CyLAS Breakdown. 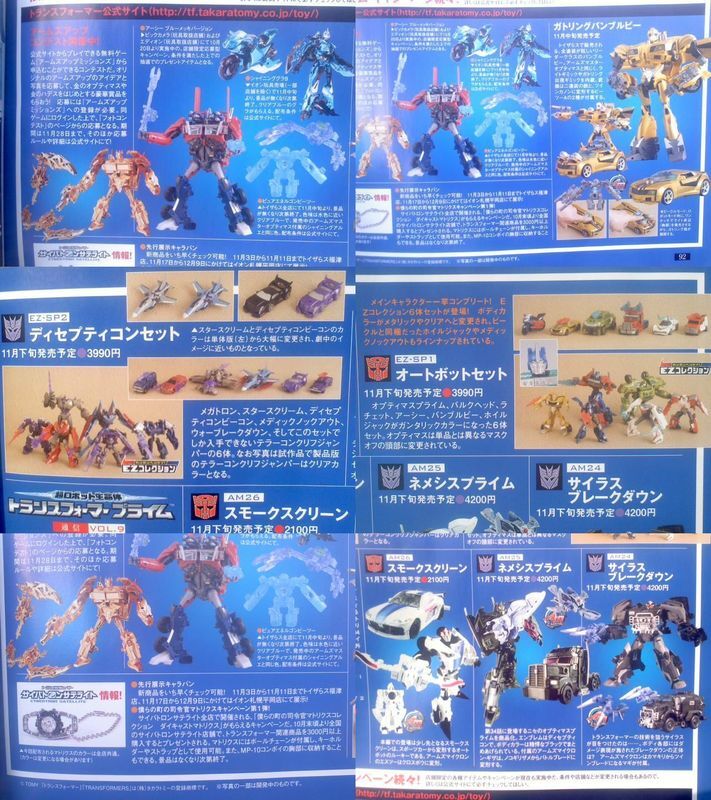 Also shown are Lucky Draw chrome First Edition Arcee, Golden Arms Micron Prime, and Golden Hades (Megatron’s bat micron). 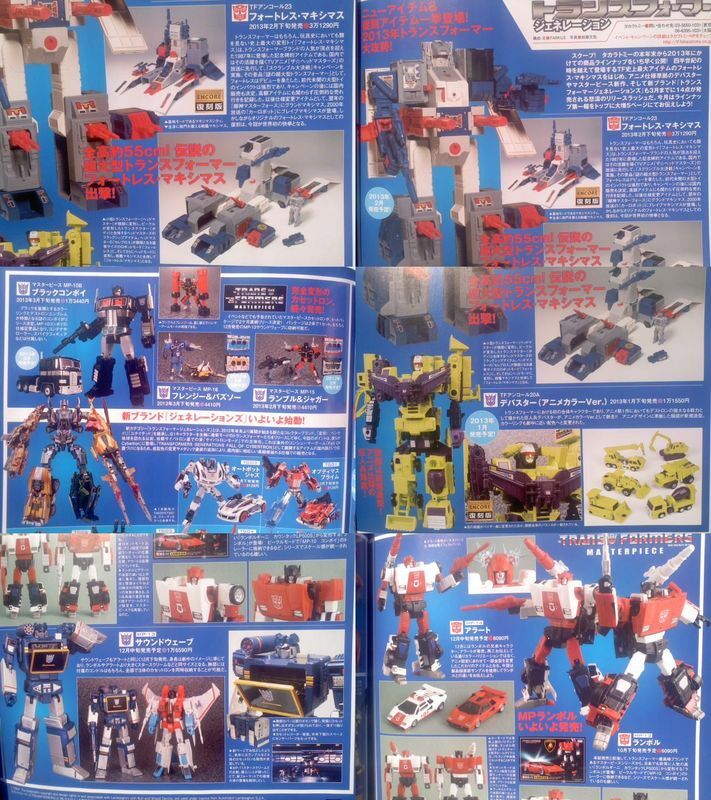 Also shown are Japan’s release of Weaponizer Bumblebee and both EZ collection sets. On the United EX side, we’ve got the Devastator colored Builder Master, the Black Huffer recolor Assault mMster, and the two pack of Tank Master and Marine Master. I can’t wait to see who these guys are going to be in their official bios! Additionally, there is coverage of upcoming Masterpiece releases of Sideswipe and Red Alert, Soundwave and his cassettes, and the reissues of Fortress Maximus and Animation Style Devastator. Enjoy the pics!